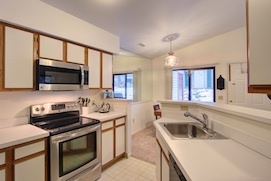 This condo is a well kept ranch Woodlake Condominiums, a prime end unit. This lovely condo features an inviting open floor plan with vaulted ceilings and neutral decor. Freshly painted and new carpet throughout with like-new appliances, ready to call home. Step through the updated, extra large door wall to your private patio that backs to whispering evergreens. Association includes in-ground pool, clubhouse, and detached garage with additional parking. Close to Downtown Brighton, Main Street shops and eats, Green Oak Village, and Mill Pond. Easy access to US 23 and I-96. 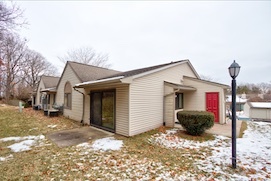 417 Water Tower Circle in the Ann Arbor area real estate market will not last long! Great condo at a great price!